Are you also an affirmation person? I need that verbal pat on the back–well–ask my husband–maybe often? But more keenly, as a mother, I’ve wanted to have external validation that I’m doing it all correctly. I’m doing it all right. I’m making the best choices I can for our kids and for my health. I want it from my doctors and care providers. I want it from my own mother. I want to hear it from my community. My sense of validation starts to pull apart, seam by seam, as I grow deeper into my role as a mother. The time I felt worse and worse postpartum but had multiple care providers tell me I was fine, and it turned out my uterus was infected (a rare condition!) and I needed to be admitted to the hospital right away for IV anti-biotics. The time I felt judged as a wannabe homeschool mother when we knew, just knew, that school was best for our oldest. The time I knew that I had to step back and let my husband parent or it would kill our marriage. You see where the grounding erodes away? Where the hems are pulled apart? When my validation for decisions came from O U T S I D E of me. When I was counting on those around me to make me feel affirmed. Affirmation from within would make a difference. What kind of questions could I ask myself, inform myself on, pray for grace & guidance on? How could I find my mothering affirmed from within? 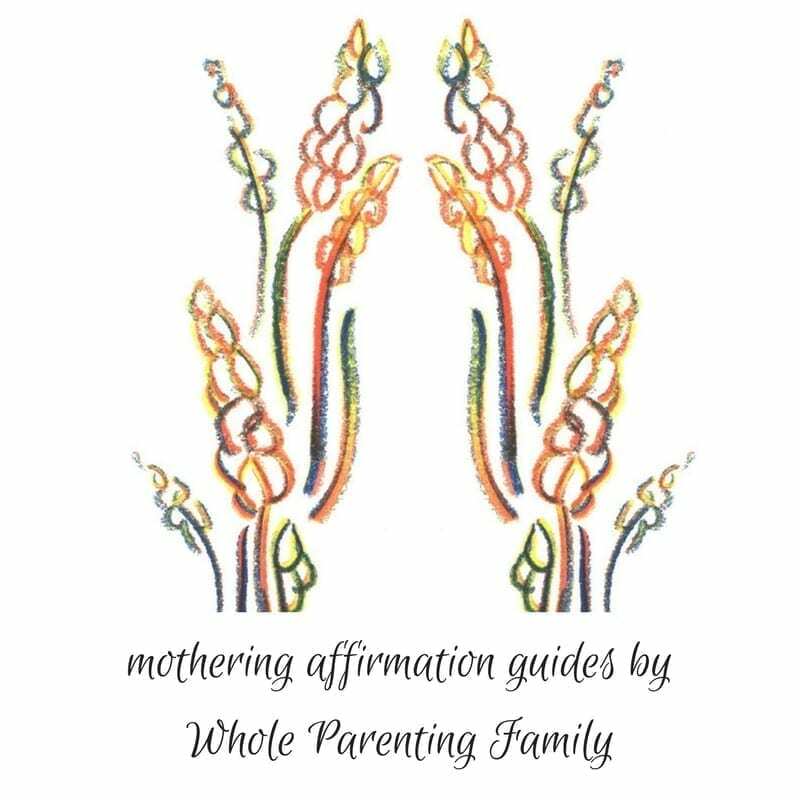 I’ve created a series of affirmation mothering guides. It’s a lil narrative, a lotta questions, supporting you to figure out your answers and be affirmed within. I go through almost a dozen topics, one per guide. Sign up for your first one free, here. I’ve come to this, four kids and almost 8 years into pregnancies, births, sleepless nights, and now grade school years. When I trust my instincts, inform my instincts, pray for better instincts, I’m a better mother, wife, and woman. It’s the trusting myself and feeling affirmed by what I’ve come up with that’s been a hard journey for me. If it is for you, too, these could help you.